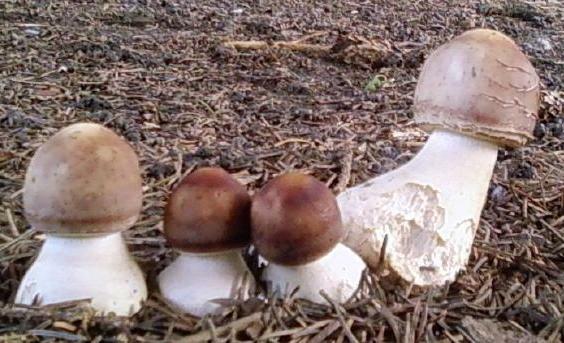 If you don’t know, they are called mushrooms because when you roll on them, they turn to mush. Mom has instructed me NOT to eat the mushrooms, nor to roll on them. And I obey. She didn’t say anything about sniffing them. We have a very nice array of sh’rooms under the Big Pine Tree where I like to sit and inhale deeply. We have tall ones that are very tall like in the picture, and we have ones that are short and stubby and look like Fisher-Price people. Sometimes when I sniff the mushrooms I wish my middle name was Mushroom. By time I exhale, it doesn’t sound like such a good idea. I have to return the camera now. Just look and smell, Madison–don’t eat them!! Looks like Mom has a new photographer in the house! Great job Madison! Looking forward to more of your findings! Good to hear from you Madison! Looking forward to your future perspective pieces! Thank you Madison for your in depth perception. You and your owner are two very special beings. Thanks for all you do and Ami too!! I love you Madison. Your reports brighten my days. Thanks to you and your mom. Madison, you’re the cat’s meow or maybe I should say the dog’s bark. Keep having your wonderful adventures. I love reading about you. Dear Madison: Glad to hear from you, been a while. Because I live in the desert we don’t have those types of things growing look to be very interesting!. Well life here a bit busy lately, my Mom and Aunt came to stay with me for a while – my owner finds it very difficult to tell the difference when we are laying down. Of course when we get up it’s easy, I am so-o-o-o much bigger!! Their human Mom had to go away for a couple of months, so my Grandma is taking care of all of us. Poor lady, has four of us big ole german shepherds following her all day long – spends a lot of time tripping on us, cos we lay so close to her. Well better go since Grandma is making a move to her sewing machine – ALL CHANGE POSITIONS> talk at you later, your friend Bodacious. PS Say hi to Ami for me. Good boy, Madison! I hope your mom gave you a treat for NOT eating the mushrooms! Tandi has been a good girl and left them alone, too. She prefers to bite acorns instead. The squirrels hate her. Madison, Mom is right… PLEASE don’t eat them…Our son’s dog was just a puppy and he ate them and got very sick and still he has ‘flashbacks’. Our son adopted the dog because his owners could not take care of him any longer. He is a good dog and when he has a flashback, we all feel bad for him. They cause him to have a type of seizure. He is a really good dog and is never, ever mean. We are happy that Mark adopted him. He needs a bit of extra care and love, but that is no problem for our son. The dog is his shadow! So, Madison, please don’t eat the ‘shrooms! Just take pics of them! Madison, you are one smart dog! You really take after your mom.. she is one smart lady and she really brightens my life! So Thank you for being a good dog and supplying her with lots of funny things to write about! You are quite the photographer. 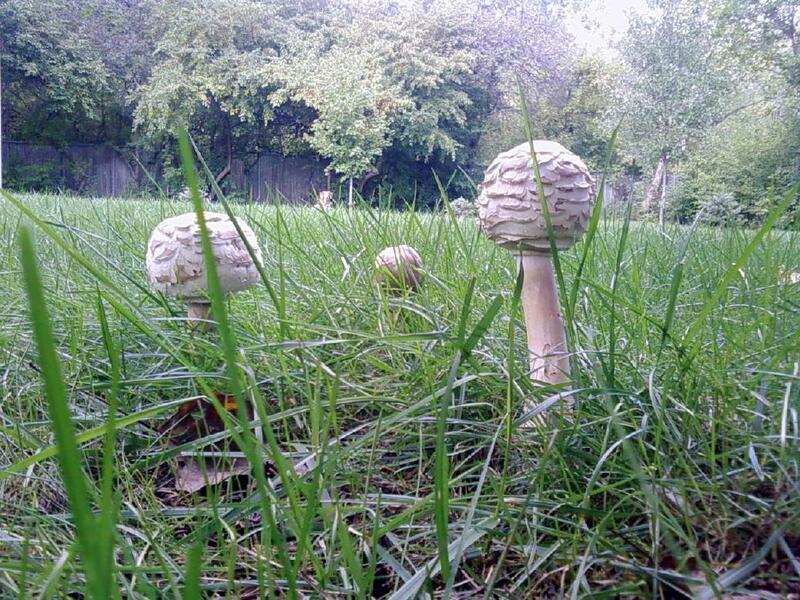 I have been taking series of mushroom photos for a quilt I want to make, I do not have pictures of mushrooms shaped like your. I guess your mushrooms are “northern” while mine are “southern”. I would like you to talk to my JJ who has not learned not to eat the mushrooms. Way to go, Madison. Sounds like life is good. Keep it up, Kiddo! I enjoyed reading all about the mushrooms. We have them popping up all the way down here in CA, too. Keeper knows not to eat them, too.